TI-83 PlusThe TI-83 Plus™ is your basic graphing calculator for high school, college math and science courses. 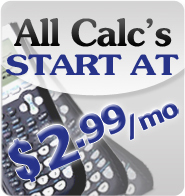 Can be used in the following courses: Pre-Algebra, Algebra 1 & 2, Trigonometry, College Algebra, Statistics and more. Rent as low as $2.99/month. 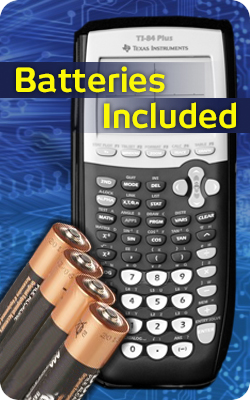 TI-89 TitaniumThe TI-89 Titanium is one of the most powerful graphing calculator with advanced functionality and 3-D graphing make problem-solving for AP advanced mathematics and engineering courses infinitely easier. Rent as low as $2.99/month. This is a fabulous service you provide. The idea of purchasing a calculator for $100 or more when your child only needs it for 3 or 4 months is crazy!! 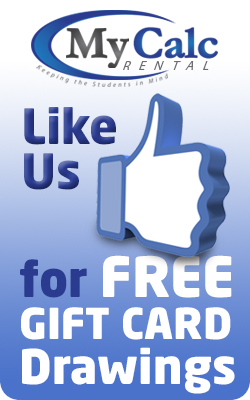 I recommended your site to my daughter's math teacher and encouraged him to share it will the other teachers and all the students and their parents before they considered purchasing one. I also shared it with the principal and counselors. Your service is simple and affordable for those of us on a tight budget or those who do not like wasting money. You have a fan for life!!!! Thank you! Payment forms accepted: Visa, Mastercard and Discover. 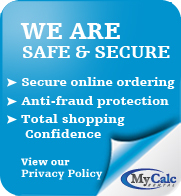 MyCalcRental.com Copyright © 2007 - 2015. All rights reserved.